In this special report, you will learn how to properly position your portfolio for the coming bloodbath. 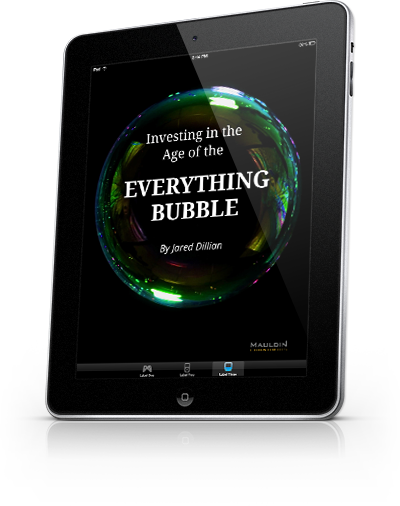 Enter your email address below to claim your free copy of Investing in the Age of the Everything Bubble. 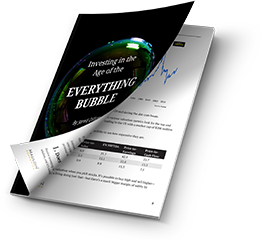 Bubbles are everywhere and winter is coming for investors. That’s a stark warning from contrarian analyst Jared Dillian. But with depressingly low interest rates, running from the markets is not an option. Our advice? Put your portfolio through Jared’s stress test, included in this exclusive report. 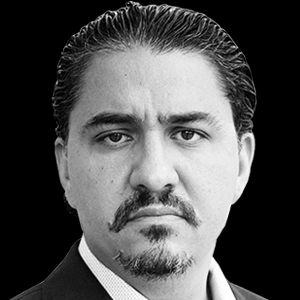 Why you should rank your portfolio holdings by their "fear allure"
Claim your free copy below and begin receiving The 10th Man—absolutely free. Copyright © 2017 Mauldineconomics.com. All Rights Reserved.